Vision systems are unmatched in their ability to inspect, identify and guide parts. These self-contained, industrial grade vision systems combine a library of advanced vision tools with high-speed image acquisition and processing. Best of all, configuring and deploying an In-Sight vision system has never been easier. 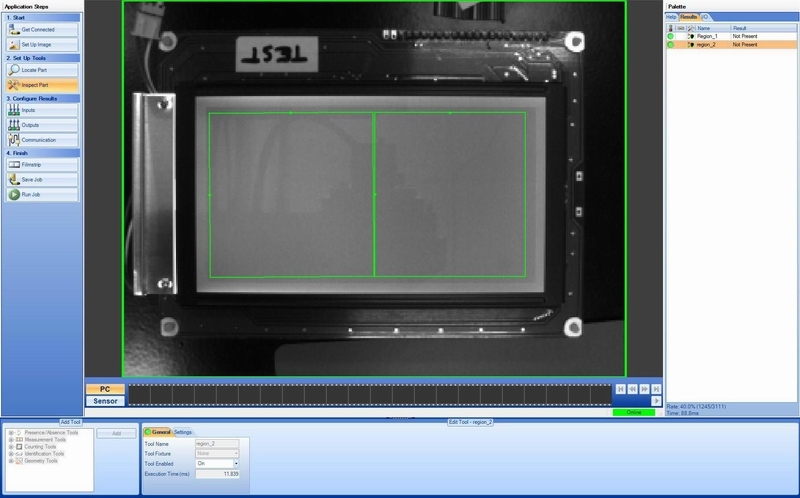 Inspection Vision Systems are an electronic alternative to human or manual inspection. Vision systems allow you to monitor multiple inspection criteria from onsite computers with a reliability and repeatability impoosible to duplicate using just the human eye. Pricing on vision systems have dropped so dramatically in recent years that even small companies can now enjoy the benefits of vision systems integration. Gauging – Measurement of a products finished dimensions and comparison to design tolerances. Used to generate a pass/fail criteria. Identification – Read 1D, DataMatrix (2D), PDF 417, and other codes, or read and/or verify characters (OCR / OCV) to verify parts. Guidance – Locate parts on a moving conveyor and transmit trajectory data to a robot. Inspection – Verify whether the proper type or color of a part is present or confirm the proper label is applied to pharmaceutical package. Used to generate a pass/fail criteria. We can develop solutions using a wide range of machine vision technologies and component solution.